Please click the “play” buttons below to listen to individual selections from Mr. Parmer's most recent demo recordings. 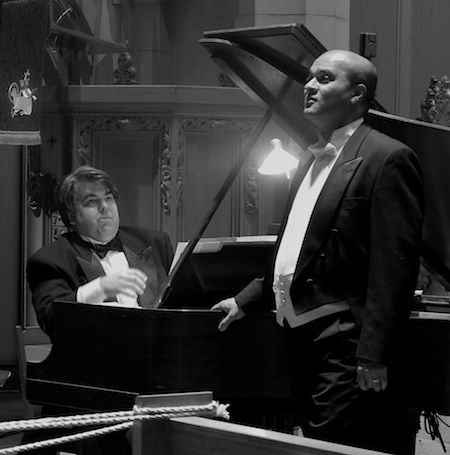 Recorded in 2011 and 2012 at Southminster United Church, Ottawa, Mr. Parmer performs a wide variety of material with pianist Jean Desmarais. To download a ZIP archive of the entire collection please click here (71 megabytes). 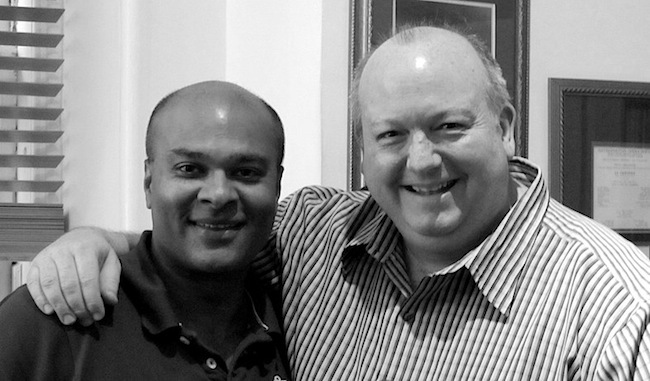 Mr Parmer with his vocal coach, Bill Schuman, photographed in New York City, August 2012.